In a study recently published in the journal Nicotine and Tobacco Research, researchers at the Virginia Commonwealth University (VCU) Massey Cancer Center at the VCU Center for the Study of Tobacco Products (CSTP) have created a new evidence-based model designed to predict how much nicotine an e-cigarette device emits. The mathematical model is considered up to 90% accurate. The VCU team also worked in conjunction with researchers from the American University of Beirut. 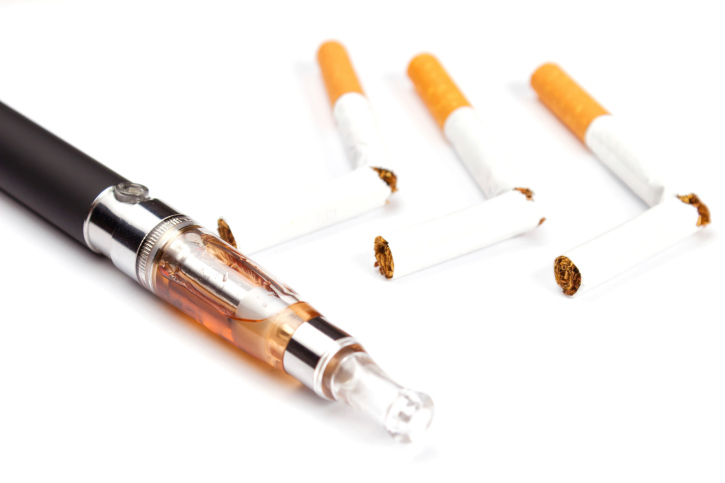 In the study, researchers collected data regarding the liquid nicotine concentration in e-cigarettes, device voltage, and the length of time inhaling during a single puff. The model predicted that e-cigarettes with higher voltages and high nicotine liquid concentrations emitted larger nicotine levels than regular cigarettes. However, the results depended on length of puff duration. Researchers followed-up with another experiment. In the next clinical study, the team found that experienced e-cigarette users who had taken longer puffs than beginner users had higher nicotine levels in their bloodstream. The results indicate that the devices could lead to greater nicotine addiction compared to regular cigarettes, without federal regulation. Eissenberg stated that e-cigarettes could be a safer alternative when the device and its liquid do not deliver addictive substances and other harmful chemicals in excessive levels. The model predictor sets up a new trial that will test e-cigarettes on the health and behavior of people addicted to tobacco cigarettes and who have a desire to cut down on smoking. Talih, S., et al., “Effects of User Puff Topography, Device Voltage, and Liquid Nictine Concentration on Electronic Cigarette Nicotine Yield: Measurements and Model Predictions,” Nicotine & Tobacco Research website (2015) 17(2): 150-157, doi: 10.1093/ntr/ntu174. “Novel model developed to predict amount of nicotine emitted from e-cigarettes,” ScienceDaily web site, July 30, 2015; http://www.sciencedaily.com/releases/2015/07/150730162836.htm.